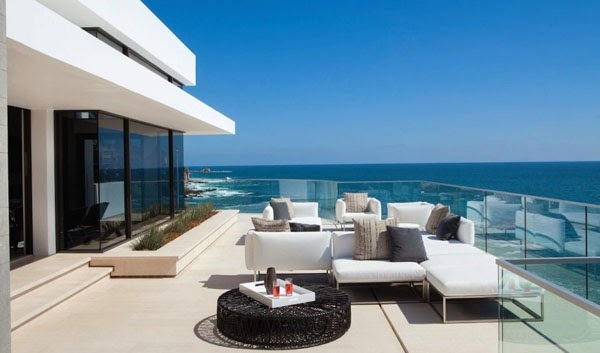 Rockledge Residence is is a modern beach house perched atop the vertical face of a rocky, coastal promontory in Laguna Beach, California, designed by Horst Architects together with interior design firm Aria Design. 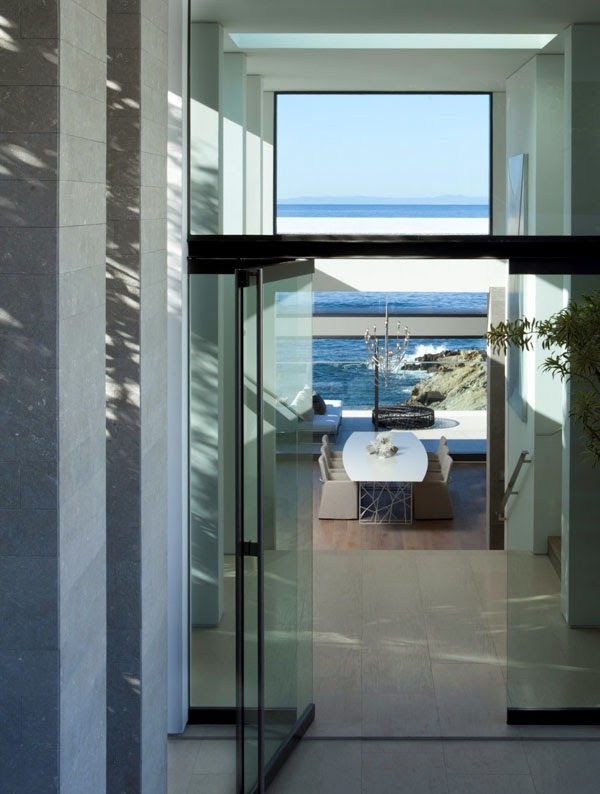 This residence responds directly to the owner's brief for a relaxed family beach house where they could engage family and friends, while also enjoying the views and natural surroundings of the site. The mild coastal climate also created the opportunity for the seamless integrate of interior and exterior space.